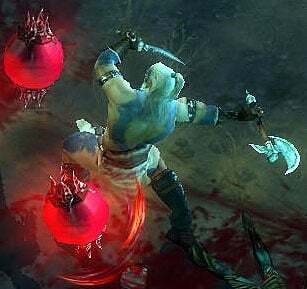 A Barbarian racks up some Health Orbs as he chews his way through a pack of Champion zombies. Shot from late 2010, with upgraded health orb artwork. This page was last edited on 8 March 2011, at 03:08.